Eddie’s White Wonder Dogwood flowers (a hybrid between Cornus nuttallii x Cornus florida) in the Fraser Valley of British Columbia, Canada. 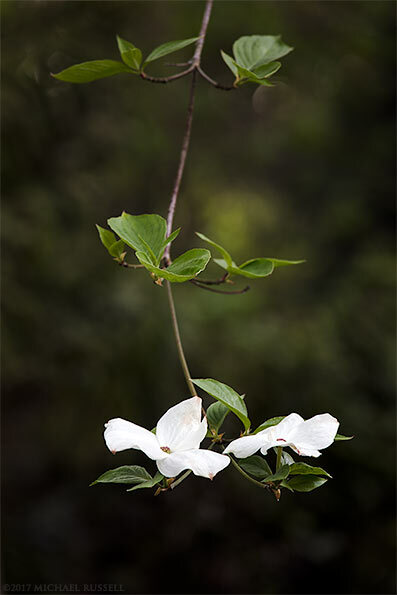 Last year I photographed both this Dogwood tree and a few others that were flowering in the backyard. This year I photographed the tree again, but tried to do something a bit different than I had before. This photograph was made on one of my first tests of my new camera. I’ve been quite happy with the files from the camera and this Dogwood flower is the first published “keeper” from that camera. Since this photograph was made I’ve got out on a few trips as well as photographed various flower species, baby rabbits, and other foliage in the backyard. Those photos are coming soon! The Pacific Dogwood (Cornus nuttallii) is the official flower of the province of British Columbia. Growing only in the southwest corner of British Columbia, the Dogwood is not yet endangered, but is nearing that distinction. A fungus (Dogwood anthracnose) infects Dogwood trees and has helped diminish their numbers along with deforestation and the 2002 removal of protections against destroying Dogwoods (and other species) by the Provincial government. 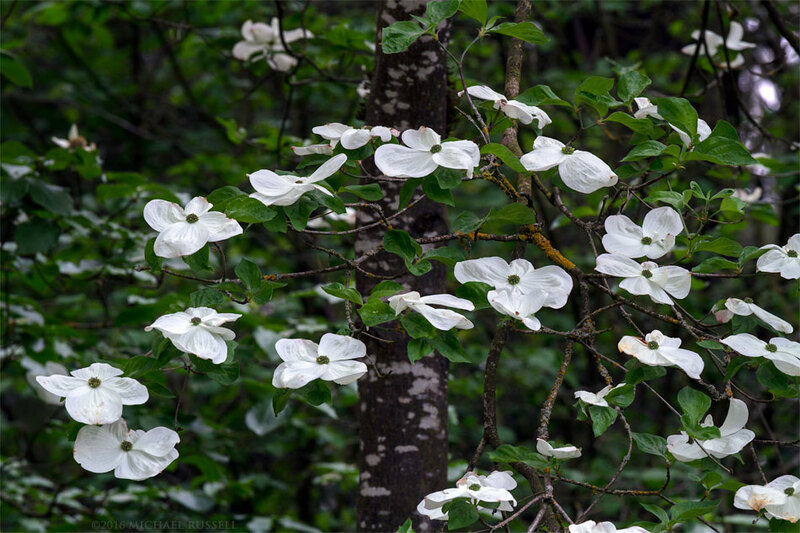 Dogwood flowers are a familiar sight in British Columbia as they are used on many company logos and even the Provincial Coat of Arms. The High School certificate of graduation issued by the Province is called the Dogwood Diploma (I have two of them – figure that one out). 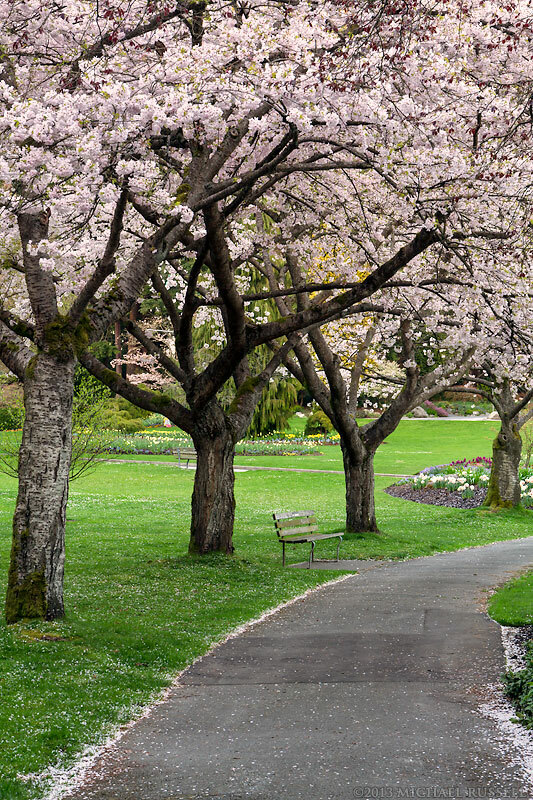 The photograph above shows the native species of Pacific Dogwood here in British Columbia, but there is another common Dogwood tree as well. “Eddie’s White Wonder” Dogwood is a hybrid between the Pacific Dogwood (C. nuttallii) and the Flowering Dogwood (C. florida). 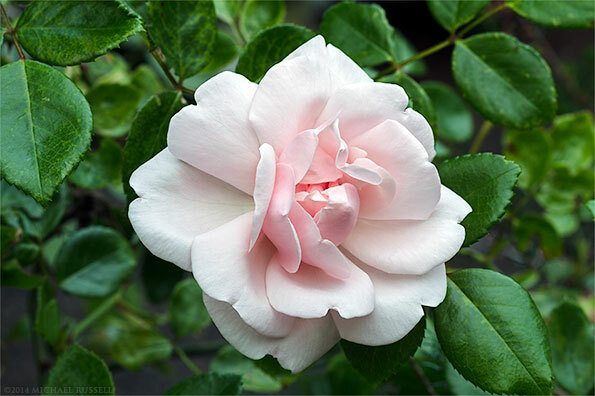 This hybrid was developed by British Columbia’s Henry Matheson Eddie (1881-1953) in 1945. The hybrid was created from the Pacific Dogwood and the Flowering Dogwood partly to avoid the fungus that damages the Pacific Dogwood. The hybrid has shown to be only partially resistant to the Anthracnose fungus, however. 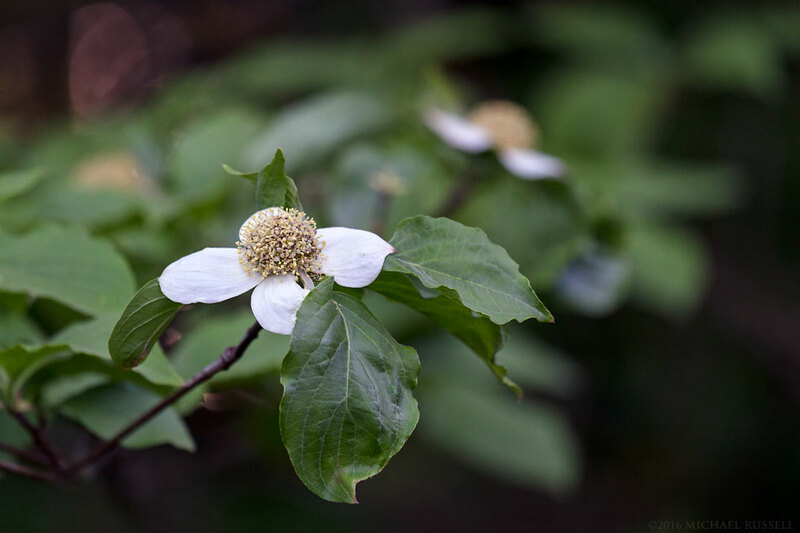 The hybrid Dogwood is shown in the photographs below, and tends to have larger, broader overlapping bracts and a much higher density of flowers. 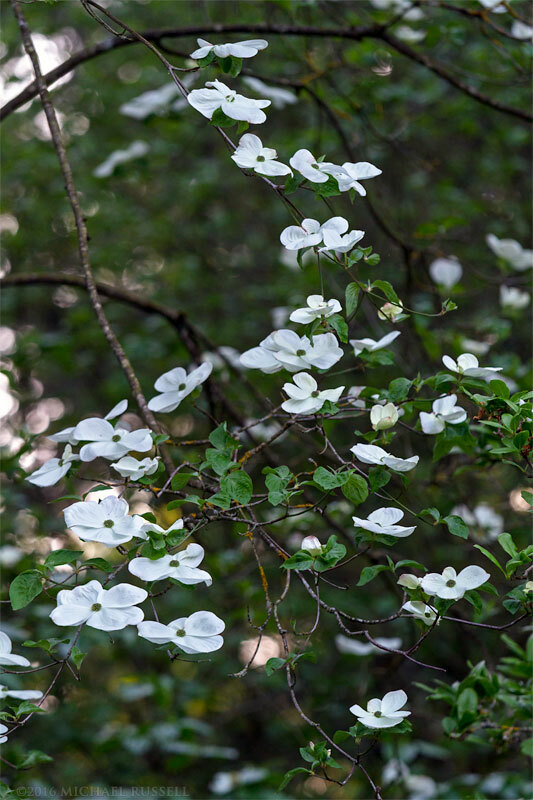 Some also have a slight pink hue to the flowers, as some of the original dogwood crosses were with pink varieties of C. florida. 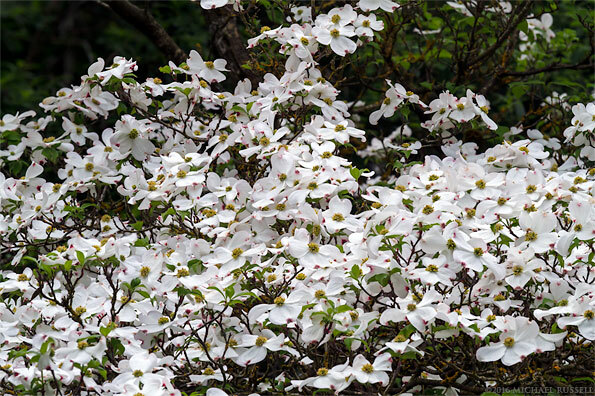 The last photograph here shows another individual of the hybrid Dogwoods with a much higher density of flowers. 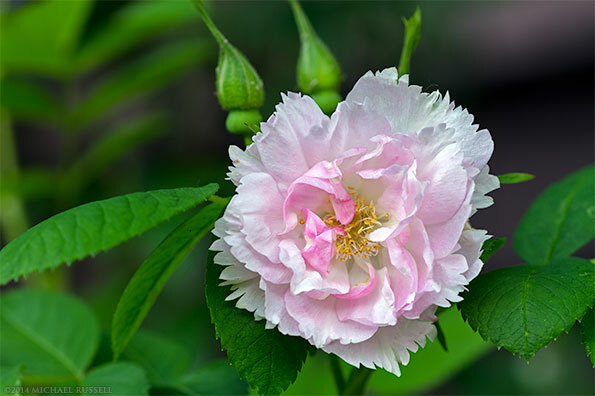 For more photographs of the flora of the forests of British Columbia (and Washington) take a look at my Forest Photos Gallery in my Image Library. 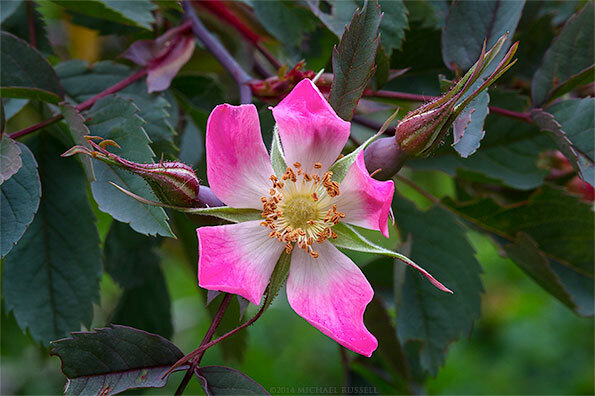 Red-leaved Rose (Rosa glauca) blossoming during the spring in a backyard rose garden. 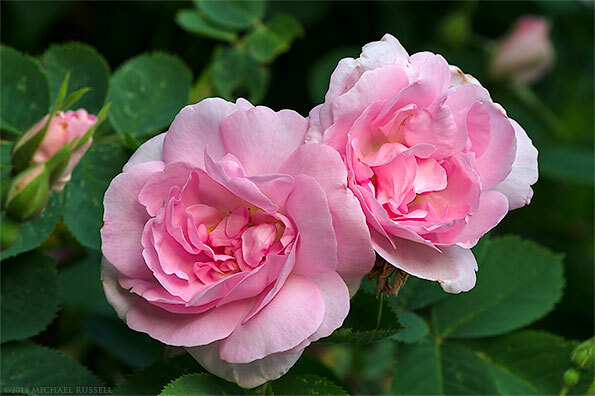 I’ve been trying to document the extensive amount of rose flowers in my parent’s backyard this year – and have photographed all that have bloomed so far. This flower is a Rosa glauca species of rose (common name: Redleaf Rose or Red leaved Rose) in the backyard rose garden. 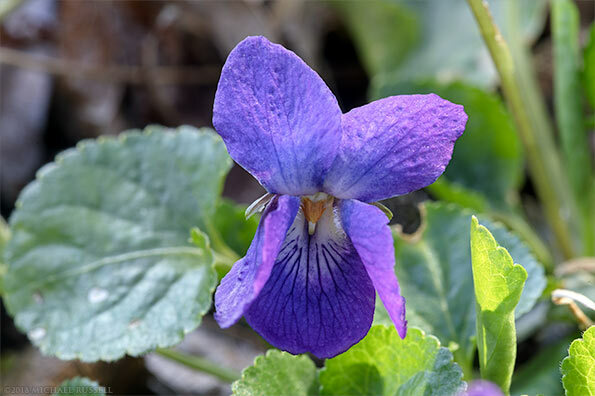 This species is an ornamental here in North America but is native to central and southern Europe. 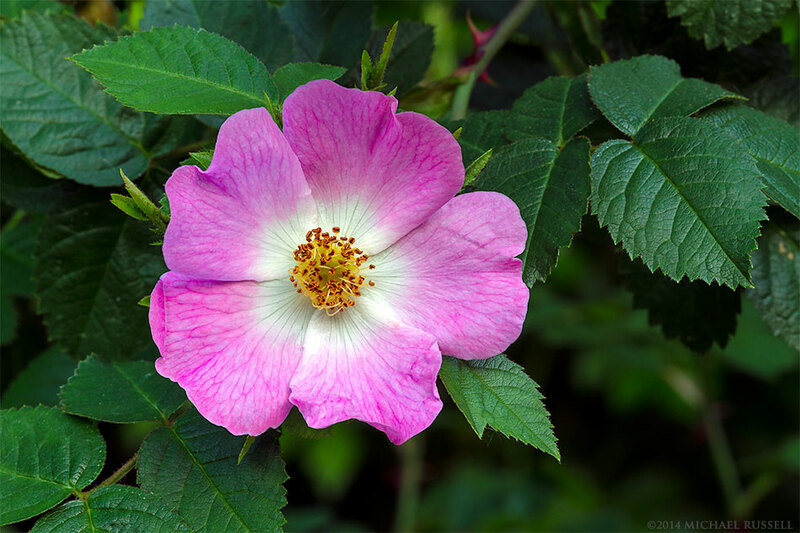 Some of our own wild rose species aren’t quite as colourful, though the flowers look quite similar. For more rose photographs visit my Roses Gallery in the Image Library. 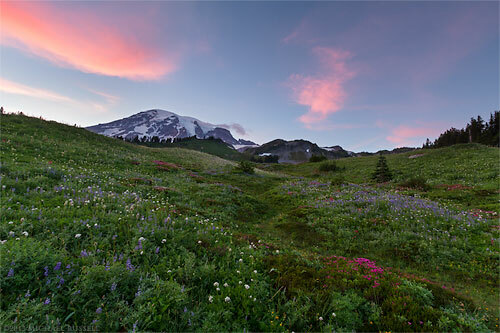 Mount Rainier peeks over a wildflower covered meadow at Paradise in Mount Rainier National Park in Washington State, USA. A photograph from my trip to Mount Rainier National Park in August where some jogging was required. I also had to do a bit of running to make a photo of similar light reflecting in Edith Creek – which I posted in August. I’m sure the few brave tourists still out at this time of the evening found my antics entertaining, but I’ve learned that sometimes when you take light like this complacently, you’ll be quickly punished by it’s disappearance. 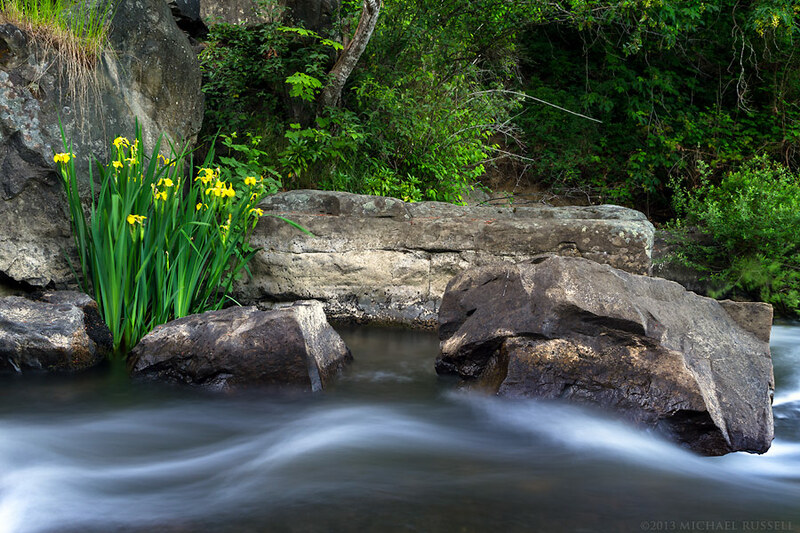 So I jogged up the trail to a spot I’d taken note of with some nice flowers, tripod over my shoulder, and my personal cloud of mosquitoes in tow behind me. I believe my efforts were worthwhile! For more photos from this trip visit my Mount Rainier National Park Gallery. 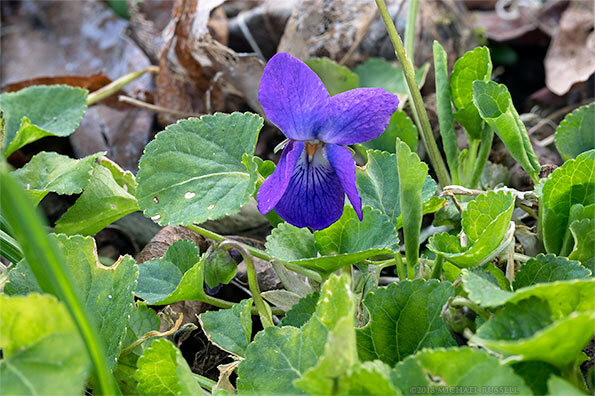 Many regions have invasive plant species that have been “released” purposely by people or have escaped from gardens. These invasives often spread into areas where they force out native species and otherwise change the ecology of the area. Many are familiar with the spread of English Ivy through Metro Vancouver forests and Scotch Broom (Cytisus scoparius) on Vancouver Island. The Yellow Flag Iris (Iris pseudacorus) is also an invasive species, and is native to Europe, western Asia, and northwest Africa. This photo shows a flowering Yellow Flag Iris on the banks of the Millstone River in Nanaimo, British Columbia. While this is one individual plant the species can spread and cover entire wetlands and completely displace native species. Due to continued popularity in garden centers Yellow Flag Iris has spread widely on Vancouver Island, Metro Vancouver and the Fraser Valley, and even into the Okanagan and Kootenay regions of British Columbia. If you grow some of these in your backyard, it may be a good idea to destroy them to avoid further environmental damage.